British cereal firm Weetabix has announced that it will invest £30 million ($38 million) across its UK manufacturing sites in Burton Latimer and Corby. Giles Turrell, CEO of Weetabix, commented: “We’ve consistently bucked the market, through our innovation and focus on nutritionally strong products that taste great. 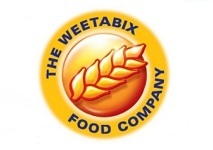 We have been successful in increasing our sales of brands such as Weetabix and Alpen, with consumers trusting us to deliver best in class nutrition and taste”. Weetabix said that its breakfast drink Weetabix On the Go recently sold 18 millionth bottle, while its latest launch, Weetabix Protein sold £7 million ($8.9 million) in 2016.